Robert Allen is a member (since 1986) of the Antiquarian Bookseller’s Association of America (A.B.A.A.) and the International League of Antiquarian Booksellers (I.L.A.B.). He regularly participates in their meetings and book fairs. He has bought and sold antiquarian and scholarly books since 1977-- at book fairs and through the mail (chiefly to university and research libraries). For several years in the early 1990s, he operated a retail store in which he offered comparable material to the public. Robert Allen holds an M.A. and a Ph.D. in English and American literature from Harvard University, where his studies concentrated in rare books and bibliography. At Harvard, he was trained extensively in bibliography by William A. Jackson, late “Grand Acquisitor” of the Houghton Library. 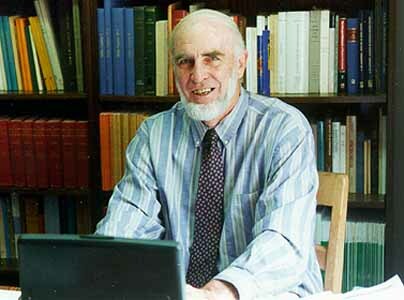 Allen’s scholarly publications include a critical edition of two sixteenth-century texts by Erasmus (University of Chicago Press, 1969); co-editorship of a Festschrift for Donald Greene (University of Virginia Press, 1986); and various editorial and bibliographical articles, reviews, and notes. Further, for a decade (1973-1982), Allen served as General Editor of the international and inter-disciplinary annual review The Eighteenth Century: A Critical Bibliography. In 1984, the Huntington and Clark Libraries chose Allen to conceive and mount an exhibition of rare books and manuscripts to commemorate the 200th anniversary of the death of Samuel Johnson. He compiled and designed the catalogue for the exhibition. Robert Allen regularly performs appraisals of antiquarian and scholarly libraries. His recent experience with scholarly collections includes appraisals of a 500-book collection in English and European history; 192 books on 19th century science and culture; 400 books in modern European history; and collections on the history of ideas; and a high-spot collection of 18th and 19th century English Literature. His antiquarian appraisals include the rediscovered Edward Taylor manuscript on “Types” (for the University of Nebraska), a copy of the Kelmscott Chaucer, a collection of 75 books surrounding the Bacon-Shakespeare controversy (1600-1950), and a terrestrial and celestial globe (c. 1720). Other subjects include the archives of the Pasadena Playhouse. Allen often works on appraisals cooperatively with Charles Goldsmid (their web site is www.goldsmid-allen.net). Their recent appraisals include a large collection (185 cubic feet) on Southeast Asian religion and culture, a collection of 120 hymnals, the archive of the novelist James A. Michener, Teapot Dome papers of the oil-man Harry F. Sinclair, and the papers of the late and former H.E.W. Secretary Robert Finch. Robert Allen’s qualifications include over twenty years experience of teaching in the fields of literary history, and bibliography—in addition to the twenty-five years of active engagement as a dealer in rare & antiquarian books, out of print books, and manuscripts, outlined in paragraphs above. Allen’s California State resale number is SR AP 17 688 398.